Batman v Superman: Dawn of Justice has certainly had an interesting journey in its first three weeks in theaters. While many critics and fans alike have bashed this superhero adventure, which kicks off the DC Expanded Universe (DCEU), it has proven to be a hit, taking in $270.5 million domestically and $720.8 billion worldwide, from a $250 million budget. In just a few short days, several of the Batman v Superman: Dawn of Justice stars will reunite to start production on Justice League, including Aquaman himself, Jason Momoa. Entertainment Tonight recently caught up with the actor, who had this to say about the Batman v Superman: Dawn of Justice critical backlash, while expressing his excitement for Justice League Part 1. "There's been some things here and there, but I'm stoked. There's a lot of support from fans. There's a big beautiful world. There's a lot -- a lot -- of stuff. I feel really privileged to know that there's a lot of big, beautiful stuff that's going to happen. I'm excited too, for people to see the final product. And now it's our turn -- it's Justice League time! I've been waiting for four years that I've known about it that I've had to keep my mouth shut. I'm super pumped to shoot it! Some people liked it, some people didn't, it is what it is. I don't get it, but I don't really listen to what anyone says... You can't win 'em all. And I had a ball. I loved it." Batman v Superman: Dawn of Justice marked the first time that Batman (Ben Affleck), Superman (Henry Cavill) and Wonder Woman (Gal Gadot) were on the big screen at the same time. Fans also got their first look at the other members that will make up the Justice League, including Aquaman, The Flash (Ezra Miller) and Cyborg (Ray Fisher). When asked what fans will be surprised by in Justice League Part 1, the actor surprisingly compared it to a Marvel movie. "It's just something that hasn't been explored before. For me, it's like Iron Man. When Iron Man came out, it was like, 'Wow!' We haven't explored that character before and Robert Downey Jr. took it to a whole other level. He's genius and it was amazing. I loved it." 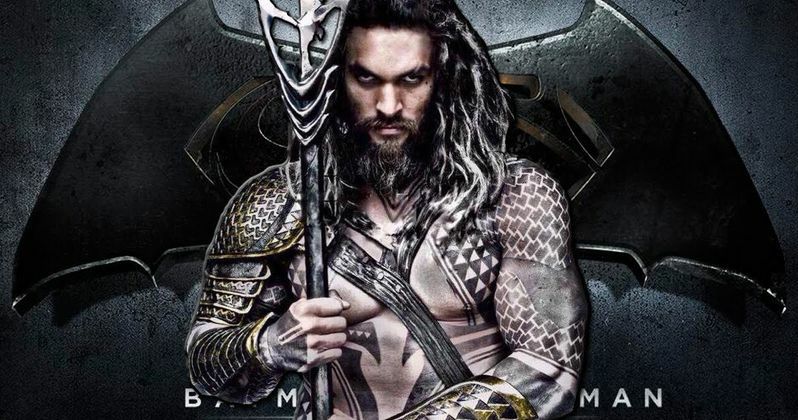 Jason Momoa will go on to star in his own Aquaman movie after Justice League Part 1, but it isn't known when production may begin on that movie. James Wan is set to direct, with Amber Heard also starring as Mera in this superhero adventure, set for release on July 27, 2018. What do you think about Jason Momoa's comments? Chime in with your thoughts, and stay tuned for more on both Justice League Part 1 and Aquaman.